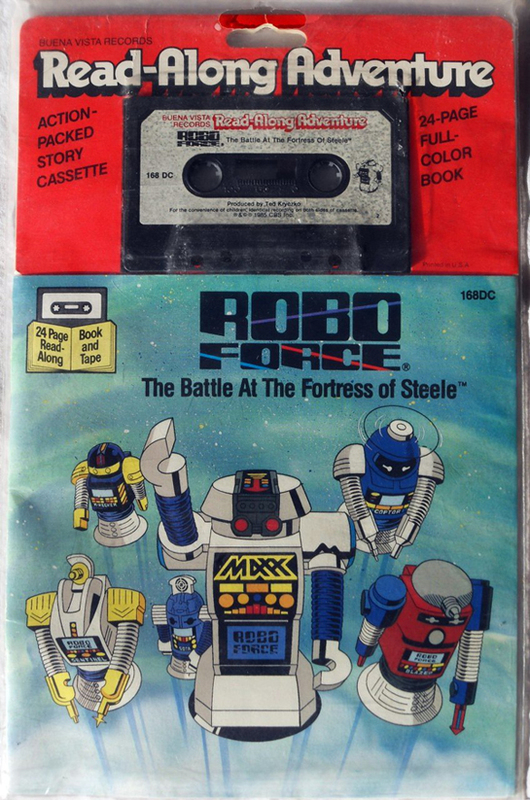 Remember Robo Force? Didn’t think so. Even if you grew up in the 80’s there’s a pretty good chance you missed out on these radical robots. Ideal Toys debuted them at the 1984 Toy Fair; unwittingly pitting them head-to-head with the Gobots and the Transformers, both of which apparently caught the company by surprise. Without the power to transform and very limited poseability, Robo Force simply couldn’t compete with rival toy lines. 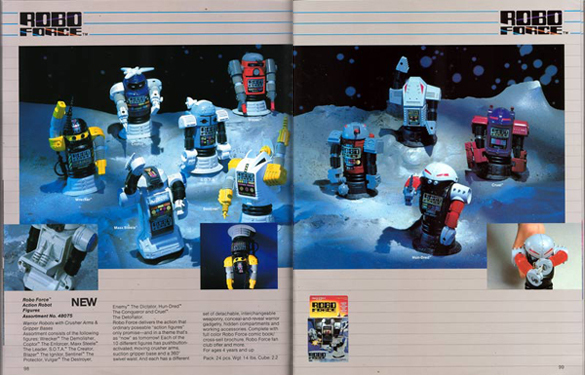 Ideal pulled the plug on Robo Force in 1985, a planned second series was prototyped, but never saw the store shelves. 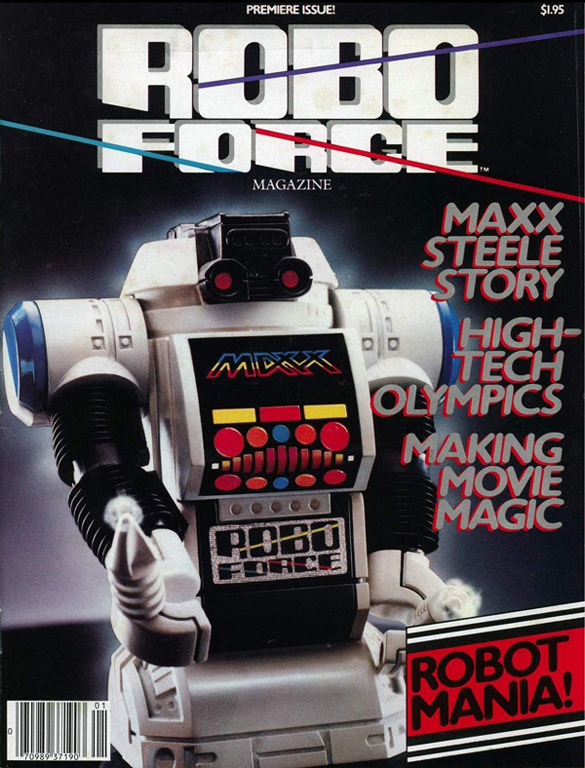 Ideal put a huge amount of marketing muscle behind Robo Force for its initial launch, with a one-shot cartoon special, commercials, story books, board games, lunchboxes, a magazine…and that’s just the short list. 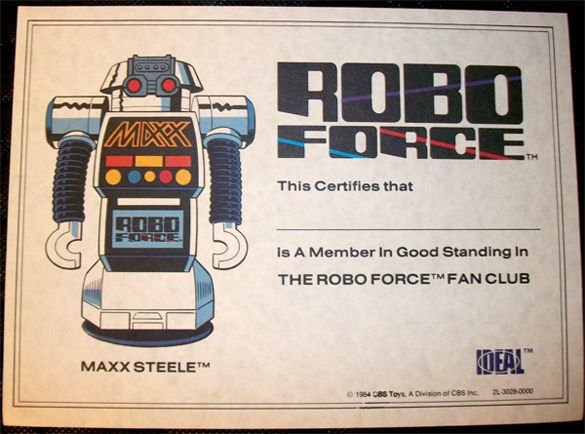 There was even a Maxx Steele telephone and an official Robo Force fan club. They really went all out, unfortunately it just wasn’t enough to overcome the toys inherent shortcomings. My brother and I had a few of these, he started out with the mighty leader Maxx Steele while I went for his evil counterpart, Hun-dred. My fondest memories of these toys was in the early summer of 1984 when we left Western New York to live in sunny Florida. My parents packed us up in the Chevy Monte Carlo and we were off on a three day journey to parts unknown. Keeping my brother and I company in the back seat were our Robo Force guys, mini command centers my dad carved out of solid styrofoam, and a cooler full of Dr Pepper. To this day, with the potent combination of indestructible robots (these things were built like tanks), squeaky breaking styrofoam, and a seemingly endless supply of caffeine, I have no idea how my parents retained their sanity. By the time we had settled in Orlando, Transformers had taken over our robot play time and good ol’ Maxx and Hun-dred were relegated to the dustbin. Sorry guys. My Robo Force figures are long gone and trying to find quality images of them on the web can prove to be insanely difficult. Thankfully, there are a couple of sites that helped me put this post together: BattleGrip & Roboplastic. Give them a look, they are both bursting at the seams with awesome stuff. holy crap! Flood o’ memories! 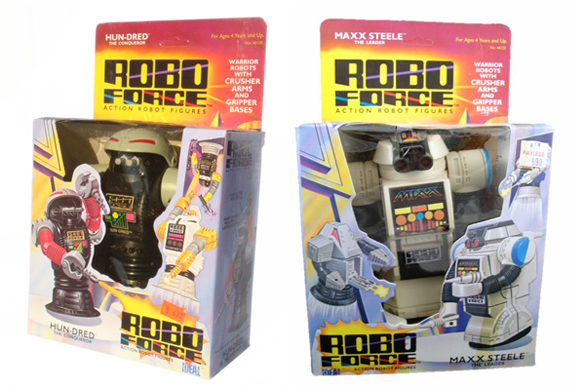 I know for sure I had the white “Maxx Force” robot. What I really remember is those sort of expandable bendy arms. Wow. I haven’t thought of these guys in years. how crappy they look now compared to my childhood memories. I had one and remember it distinctly. The funny thing was though, I remember thinking, other than the suction cup bottom, what’s the point? It was right at the cusp of when you still had to have a good imagination to play with your toys. 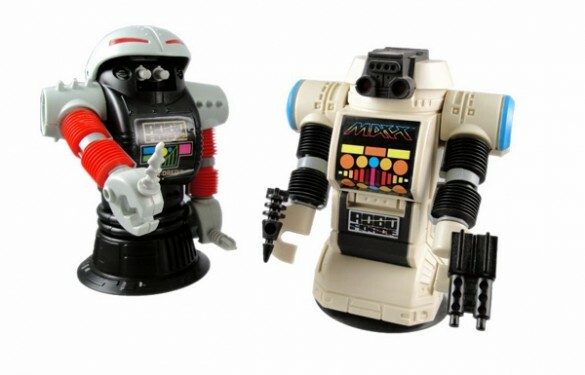 I’m not familiar with this series, but I did have a couple TOMY robots back in the day. Very similar aesthetic between the two. Ross, I had a couple of those TOMY bots as well. They rocked! My brother had the owl one. I had Dingbot, I believe his name was…my favorite part were the blueprints he came with. Pretty sure I had Hun-Dred. I remember the dome hat, bendy arms, and claw hands. What a blast from the past! These look exactly as I remember them. FYI guys, I think this guy did a lot of the illustration for the line.